When it comes to dangerous behavior behind the wheel, everyone knows that drunk driving is a serious offense. Unfortunately, fewer people consider the consequences of drowsy driving, and they often get behind the wheel when they are likely to nod off to sleep. For this reason, auto accidents and drowsy driving are a common, often fatal occurrence. If you have been injured by a drowsy driver in the Daytona Beach, FL area, Joe Horrox Law is ready to help. We will gather all information relevant to your case. Then we will construct a case to obtain the justice you deserve. We can also help you find a doctor who specializes in the type of injuries that you have sustained. Experts warn that the effects of sleep deprivation and intoxication are similar. According to the Centers for Disease Control and Prevention, drowsy driving slows reaction times so that drivers may not break or swerve in time. Exhaustion also lowers a driver’s attention span. Finally, it decreases his or her ability to make prudent decisions on the road. Drowsy driving is especially likely to affect shift workers and others with irregular hours. Alarmingly, this group often includes truckers, who work late into the night. With their large, heavy loads, a drowsy truck driver has the potential to wreak havoc on the roads. Those who suffer from sleep disorders and those who take certain medications are also at risk for drowsy driving. Unfortunately, drowsy driving is harder to detect than drunk driving. There is no test for it similar to a breathalyzer. Moreover, law enforcement has little to no training in identifying sleep-deprived drivers. 71 percent of Americans commute via car. Of those drivers, 27 percent said they drove while sleepy several times month; 12 percent said they did so a few days a week, and 4 percent reported driving drowsy nearly every day. 23 percent of those polled reported that they personally knew someone who crashed because they fell asleep behind the wheel. Furthermore, the CDC estimates that in 2013 alone, drowsy driving caused 72,000 collisions. These accidents resulted in 44,000 injuries and 800 fatalities. 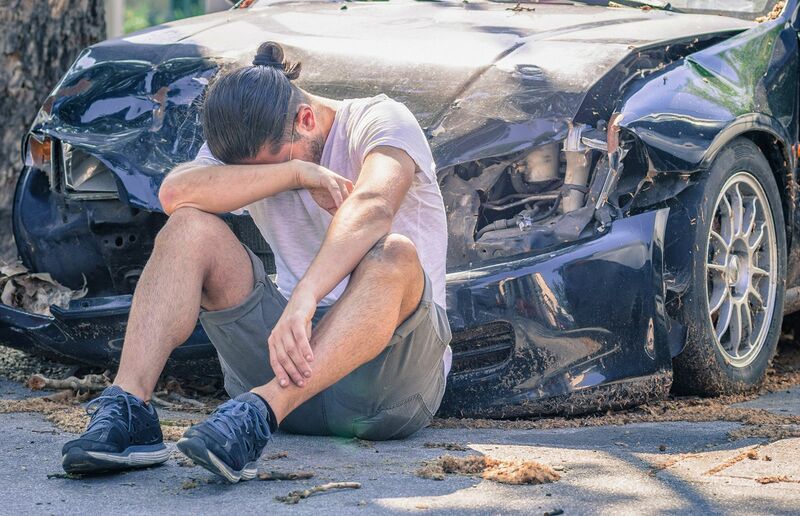 If you were involved in an accident caused by a drowsy driver, you likely have grounds for a personal injury lawsuit. However, as stated above, it is more difficult to prove drowsy driving than other types of irresponsible behavior on the roads. For this reason, you need to work with a lawyer who has extensive experience and a hard-hitting approach. Personal injury lawyer Joe Horrox and his team are familiar with the specific challenges of these lawsuits. Equally important, we want to make the legal process as easy as possible so that you can focus on your recovery. We will walk you through every step of the process. Then we will pursue the maximum settlement possible, fighting for compensation to cover all medical bills and other expenses. To find out if you have a viable legal case, contact our firm today. We will schedule your free consultation wherever it is easiest for you - including your home or hospital room.